Fox News’ Catherine Herridge is using facts from the recent bipartisan Senate Benghazi Report to give one more piece of evidence that we were lied to about Benghazi. Herridge reported that on 15th, one day before Susan Rice’s controversial Sunday show appearances, where she blamed the Benghazi attack on protest gone array, Morrell and others at the CIA received a critical e-mail that reported the attacks were not/not an escalation of protests. It was from the CIA chief of station on the ground in Libya. Charles Faddis an intelligence expert added The chief of station is the senior intelligence officer for the entire United States government. You would really have to have some incredibly overwhelming factual evidence to overrule that. The way the agency works, he’s been running 24 hours a day to nail each fact, and he’s running out indirectly into most senior levels of the organization, saying again with a big red crayon as clearly as he can, there were no protests. While the report does not explain when he read the e-mail, it says on the same day, September 15th, he edited the talking points twice, excising about half the text. The word Islamic was cut, but demonstration stayed in. The next day, September 16th, the same day Susan Rice was on TV, Morrell then asked CIA staff at embassy Tripoli for more information. On September 18th, the CIA and FBI reviewed the closed circuit video from the facility that shows there were no protests. The President was still blaming the video as late as September 25th when he visited the United Nations. According to Sen. Lindsey Graham (R., S.C.) Morell accompanied Susan Rice in a closed November meeting to discuss the attack. Graham told Herridge Morell defended Rice and tried to emphasize there was confusion about what happened in Benghazi. Moreover, Graham alleged Morell did not accept responsibility for altering the talking points, instead blaming the FBI. ”I called the FBI. They went ballistic. Within 24 hours, his statement was changed where he admitted the CIA had done it,” Graham said. 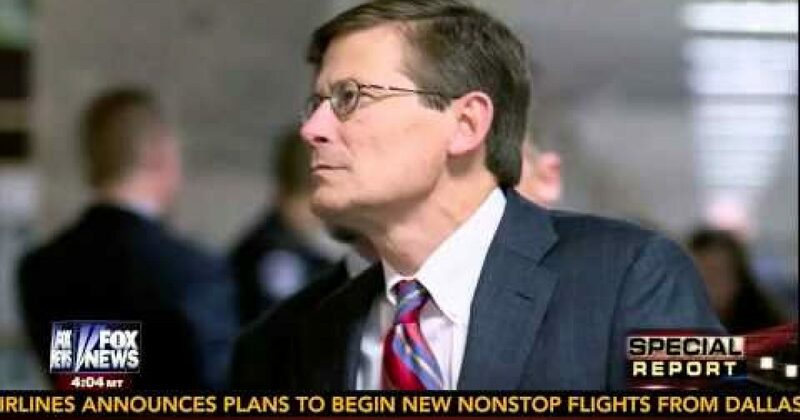 Morell did not want to comment on the story but sent Fox an email saying the Senate Intelligence Committee report supports the contention that the Benghazi talking points were not politically altered.